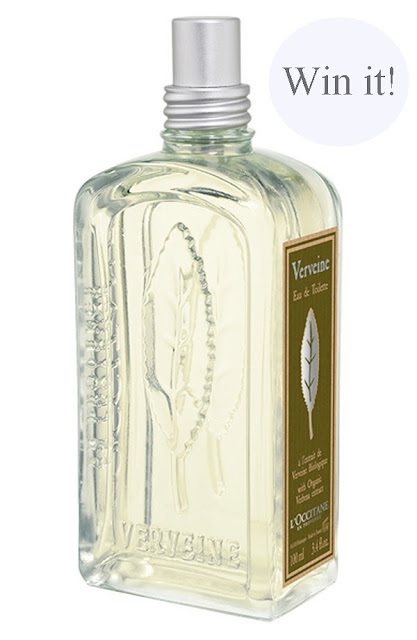 Here's a chance for one of you to win a L'Occitane Verbena EDT(1.7oz; $42) ! The folks at L'Occitane are giving away one of these to one blog reader! Verbena is a zesty, fresh citrus and perfect for anytime of the year, especially summer. L'Occitane's website got a major revamp with a few cool new features and to celebrate that, the folks at L'Occitane have decided to giveaway one Full Size Verbena EDT to one of my blog's readers. Scroll down for more. L’Occitane (http://usa.loccitane.com/) presents a fresh and modern look through a NEW wide-screen responsive design, which adapts seamlessly to all screen sizes including tablet and mobile. Giveaway is US only and open until Aug 14th, 2013 11:59 p.m PST. I will pick ONE random winner on the 15th and contact you! Winner will have 48 hours to respond, failing which I will pick another winner. Leave a comment below on this post - comment anything & also how you follow my blog! All comments are moderated and may not show up immediately. I'll approve them as soon as possible. To enter, you'll have to be a subscriber through Google Friend Connect (or) Facebook (or) Twitter! You can do all or just one! Each one counts for an entry. I love citrusy scents! thanks for the giveaway! I follow on GFC - MannaB. Perfect scent for these warm summer months. I just started following on gfc. Thanks. I love the fresh scent of Citrus and I can not resist use that whenever i find one. L'Occitane Verbena I am sure will be my top favourite one because I not only loved the fragrance idea but also loooovveeed the Elegant design of the bottle, reminds me the fair English ladies sophisticated taste of fragrance. Love L'Occitane and would love to try the verbena scent. Thanks! I am following you on GFC as rusthawk. I'm following you on facebook as Rust Hawk. Thanks! What an awesome giveaway! I love fresh, clean scents! I love Verbena, especially L'Occitane's!! Thanks for the opportunity to win a bottle!! I follow you via GFC as Cindy. Thank you so much for offering such a lovely and generous giveaway. I like you on Facebook as Cindy Aiton. I also follow you on Twitter as @normawatson. Love L'Occitane and citrus scents. This will be perfect! A few years ago I roomed with a girl who spent two years in France and she absolutely loved L'Occitane and made sure I would get to know the company as well. I never owned anything from them but would surely love to! I am your GFC follower as Elena Vo, and also on Facebook under the same name. I'm following on facebook and my email is jill dot ninety four at gmx dot com. Thank you for this giveaway! Wow! I'm a follower of your blog on facebook, and my email is jill dot ninety four at gmx dot com. Thank you so much for this giveaway! I also follow you on Twitter (@kcthelushII). Also follow thru FB as kcthelush. I love this brand and have never owned one of their fragrances.... would love to try it! L'Occitane is an awesome brand. I follow you on Twitter and Facebook. I follow you on Twitter and Facebook. I love your makeup looks.